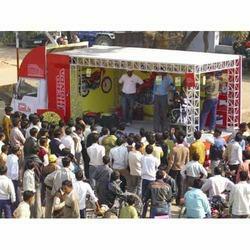 We are engaged in offering Road Shows services to our valuable customers. 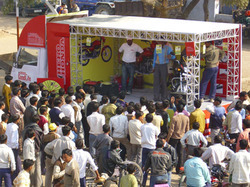 These services are offered with the view of establishing a positive brand image in the minds of the target customers. We conduct thorough research to find out which areas should be targeted so as to reach out to maximum number of customers. The offered services are made available at standard market prices. We produce dynamic roadshows with creative and affordable solutions and outstanding project management to ensure that all aspects of your roadshows are effectively and efficiently executed in order to maximise impact. Brand Act An Event Org.